Workshare offers a range of products and services for IT professionals, businesses, and other interests. 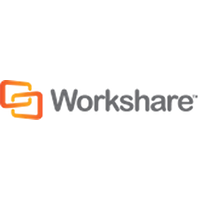 There are a range of packages and concepts you can explore at this website, including Workshare Professional, Workshare Connect, Workshare Compare, Workshare Transact, and Workshare Protect. Each concept has its own distinctive collection of advantages. For example, with Workshare Professional, you can utilize document comparison, meta-data removal, and file-sharing potential. This provides users with the ability to take advantage of accurate document-centric collaborative efforts. Workshare Connect allows you to share information across a wide variety of platforms. Workshare Compare gives you the ability to see everything that has changed from one point in the document to the next. For most up to date offers check out Workshare on Facebook and Twitter or contact Workshare Support for any questions.